Comfortable, fast and mobile solutions around the fuel equipment for liquid fuels are the mission of Krampitz. When there is a need for fuel station equipment which can be installed with minimum effort, we can deliver. Our gas station equipment always fulfills all requirements relating to efficiency, safety and environmental protection – at a surprisingly affordable price. Our fuel station equipment requires only minimal preparations at the site: A stable enough base plate, a strip or point foundation is sufficient. The mobile fuel station is lowered, filled and ready for operation. The above-ground design is ideal for temporary applications. When the mission is over, our fuel station container can be easily dismantled and reused elsewhere. Each of our facilities corresponds exactly to the ISO dimensions of standard maritime containers. Loading and shipping is easy with this design. The Krampitz all-in-one concept is ready for operation within a few hours. Any annoying unpacking and complex mounting on site is limited to a minimum or eliminated completely. The shipping and installation costs of our fuel station containers are unrivaled in its affordability. The compact design is awarding maximum efficiency to the above ground fuel station container. 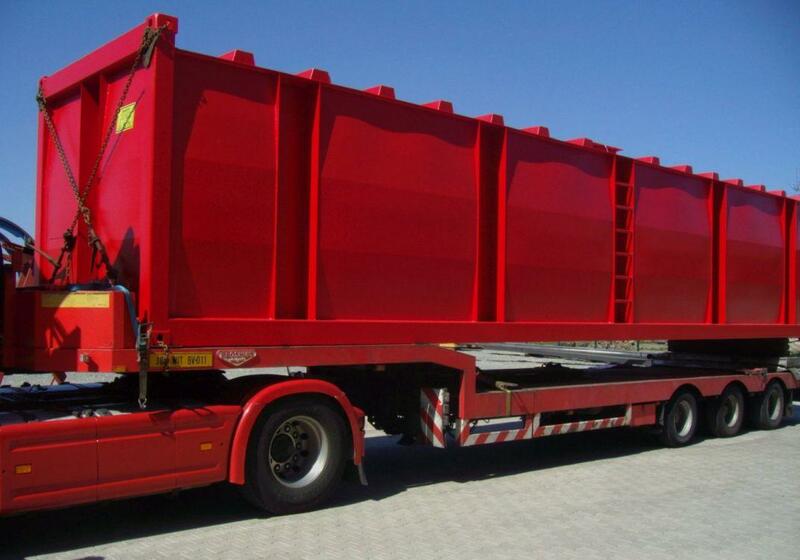 The cubic shape of the containers allows for maximum capacity in the smallest of spaces. It is far superior to cylindrical concepts. Except for the pump, safety components and if necessary generator chamber, the entire capacity of the container is ready for storing fuel. As long as fuel is liquid, our containers can store it safely and deliver fuel on request. Our solution is perfect for diesel engine or gas engine applications which are required for cars, boats, aviation, or power stations. We offer maximum comfort on the smallest of spaces using high performance dual chamber systems. Diesel and gas in the same place do not only offer maximum efficiency, but they additionally reduce danger spots, for example, on an airfield. Next to usual kerosene, diesel or gasoline applications, other multi-chamber systems are possible. Auxiliary containers for urea, antifreeze agents, water, or other applications are possible to deliver on request at any time. 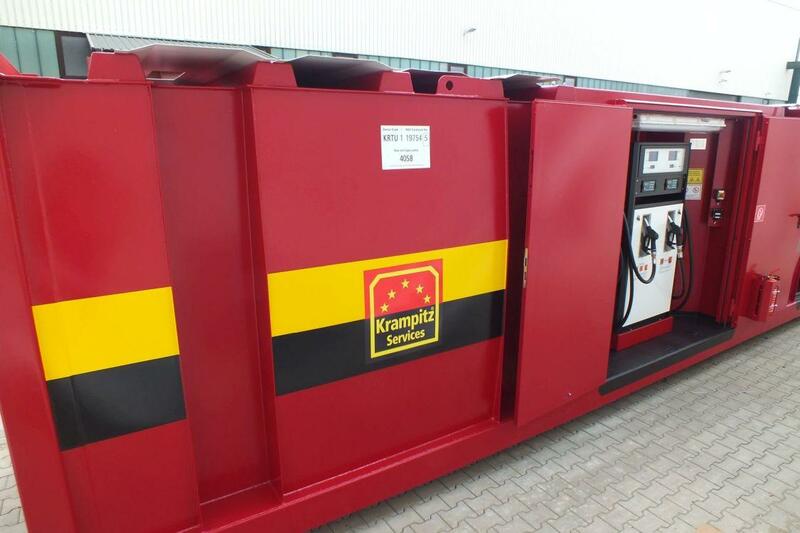 The Krampitz fuel station equipment can easily be integrated into an existing infrastructure. To offer a surplus of space efficiency and cost saving, existing power connectors may be used. We also offer completely independent solutions. 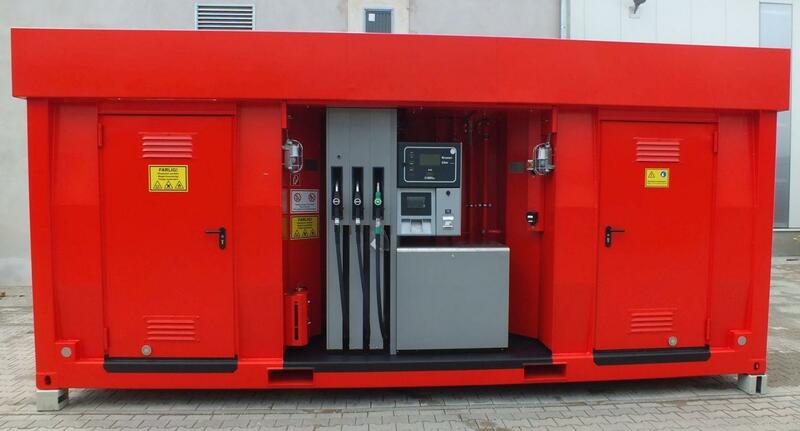 The GenSet equipment for distributed applications is excellently suited using the integrated power generator. In addition to provide fuels, this power equipment offers electric energy. Consequently, a Krampitz fuel station container becomes the core of any application away from the civilization and no matter where. Our engine equipment is deployed everywhere. The moist jungle, the icy hill or the hot desert do not bother our fuel station containers. We test our power station equipment under real conditions until it complies with all environmental requirements. We guarantee maximum uptime, security and corrosion resistance with minimum maintenance under all weather and environmental conditions. If the highest level of corrosion protection is ordered, our fuel station containers remain virtually rustproof! The focus of our development are reliability, safety and comfort at every time. We supply fuel station containers for universal usage. Our standard solutions have been proven already hundreds of times and are used around the world in the most remote and inhospitable places. We offer both special solutions for applications when higher standards apply: supply of ships and aircrafts. The boat station equipment is offered in the single or dual chamber design. A container capacity from 7,200 to 40,000 liters is adequate to refuel boats up to the 40 feet class. Nine single-chamber systems for gasoline or diesel stations and five dual-chamber systems offer a wide range of possibilities. 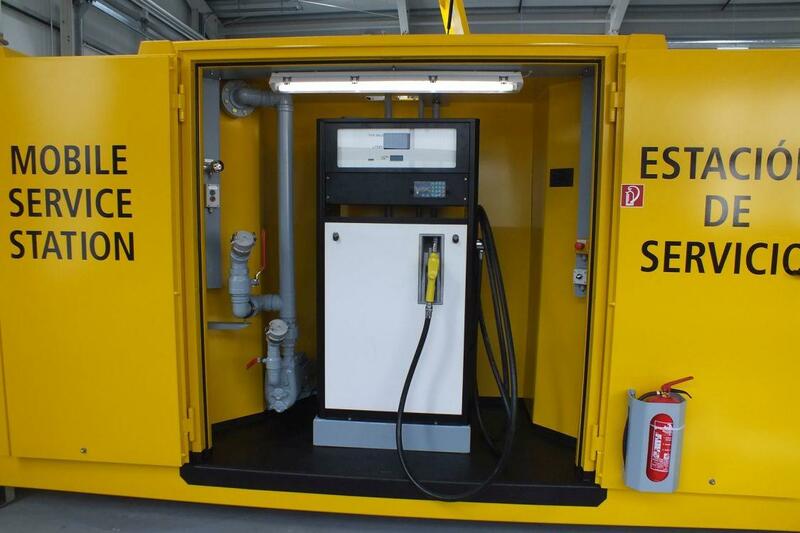 The dual-chamber fuel station containers for gasoline and diesel delivery are available with a capacity of 2 × 9,500 up to 2 × 27,300 liters. On request, all fuel station containers of the boat station equipment are available with an integrated power generator. So each application will be provided with the suitable boat refueling station. Our aviation solutions are suitable for all types of aircraft. Aviation fuel or kerosene container solutions are available for remote airports starting from small aircraft up to business jets. The newly developed helicopter station equipment offers highly mobile solutions for rotary wing aircrafts. The Krampitz all-in-one concept for helicopter fueling stations has proven itself in a very special way: The start and landing platforms often situated on buildings can easily be supplemented with our fueling equipment. Our aviation refueling equipment has a low static demand, but is highly mobile and safe enhancing any platform to a full-sized helicopter airport. The aviation applications are available in single and dual-chamber designs. A total of eight different facilities with a capacity of 7,200 to 53,000 liters are available with an integrated power generator on request. We take our mission of a mobile full-sized fueling station seriously. This includes the integration of all the comfort features which belong to modern refueling today. Our easy to use and secure dispensers are equipped with a reliable automatic shutoff. This feature effectively prevents container spill next to the vehicle. As a principle, any fuel tank is generally double-walled. Collisions can be effectively intercepted by the highly resistant outer wall. Once the outer wall should be penetrated, the inner tank will provide the required additional security against any leakage. The fuel station containers and their comfort feature leave nothing to be desired. The auto fuel terminal is extensible with all payment functions available today: Card slot for credit card payments via bank account, MasterCard or Visacard are an absolute standard. On request, we can develop also special solutions meeting the conditions at the site. 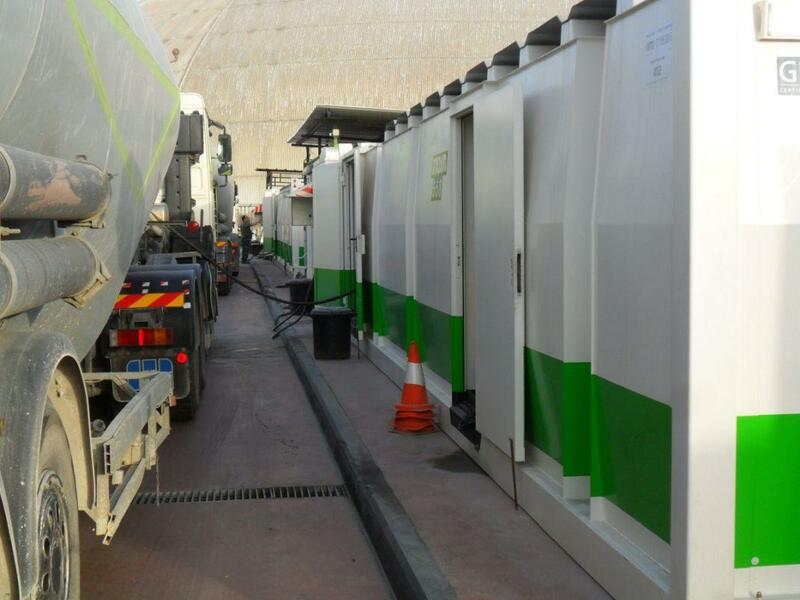 Our fuel equipment has the full self-sufficiency which is needed for decentralized, mobile solutions to refueling. After the purchase is before the service. We offer our customers a comprehensive package around the service and maintenance of our equipment. A complete container is a machinery that requires regular inspection. We are able to reduce maintenance cycles to a minimum by using robust and durable components. However, the operating and environmental safety requirements require regular inspections. Who could perform better than the manufacturer? Trust us or a maintenance operation certified by us and enjoy the reliability, comfort and durability of your fuel equipment made by Krampitz.